Application forms are used to apply for a certain course or a process related to your area of interest. It can be the university application form to get admission in a university or the job application form for applying a post. There are many types of the form, which play an important role, especially where people need to apply before going through the process. It can be used to check your eligibility criteria for your applied field. Whatever the purpose of the form is, it contains information regarding the applicant and his/her desired field for which the application form is made. The content of the form differs with the subject, such as the job application forms contain information regarding the applicant and the post for the employment. 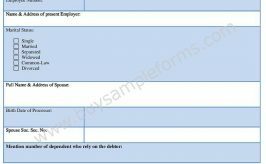 Generally, the form contains column including the name of the applicant, age, address and personal details that need to be filled by the candidate. The visa or passport application form is somewhat different from other forms as it needs the documents to bursary the information stated on the application. In the online, you can find various options to check the forms as per your needs. Here some samples are given for your use. A scholarship application format is the way to organize a scholarship application form. To assist a group of students or an individual in pursuing the education, scholarship application form is given out. Credit application form template is the structure in which the credit application information is shaped according to a company’s norm. Job application form carries the detail of the applicants who want to apply for a certain post in a company. Job application online form carries the details of an individual, which are important to apply for a job. The Civil service application form contains the information which is required for applying a civil service job. 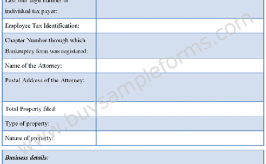 Citizenship verification form is a document that verifies an individual’s citizenship. This application form is necessary to prove your right citizenship in order to get advantages according to the state’s norms.